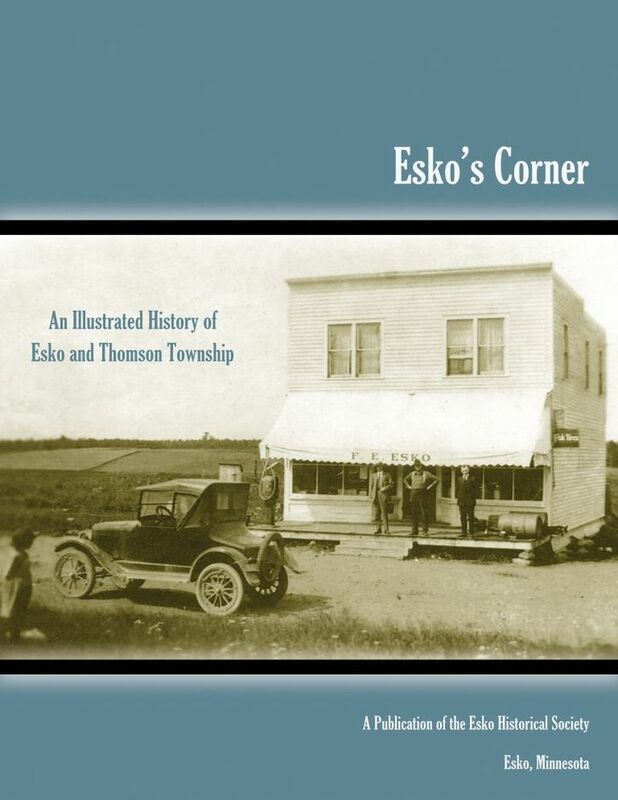 Following are randomly selected stories as well as other items that came to light as we researched the forthcoming history of Esko and Thomson Township. On May 7, 1926, The Spotlight, the student newspaper that served the community for 60 years, ran a story headlined “Growth of Esko’s Corner.” Published the day after the Arrowhead Co-op Creamery opened, it exuded pride in the fledgling community. “Fifty years ago when our forefathers and parents came to live here this was one mass of wilderness. Gradually, the forest was cleared, homes built, land tilled, cattle raised and roads built. “A school was needed for teaching the children, so a one-room school was built. To support the needs of the community, Esko’s store and then Hjalmer Mattinen’s store was erected. "After the fire of 1918, the Lincoln School was erected to replace the one-room school. The children did not have to walk anymore for horse-driven buses hauled them to school. Horses needed shoeing, therefore a blacksmith shop was built. “The people were not contented with gravel roads, thus the pavement was made. People of the community are successful farmers and cattle raisers. Therefore the creamery was built which opened for business Thursday, May 6, 1926. In the 1890s and early 20th century, local settlers went to the Ruikka Store in Thomson about once a month to get “dry goods, clothing, furnishings, hats and caps, shoes, groceries, hardware, farm implements, patent medicines and many miscellaneous articles.” It was a day’s round trip by horse and wagon, but they went because the township did not have a store of its own until after the first decade of the 1900s. Midway River is described in the book as “the dominant geographic feature within Thomson Township.” In a chapter that follows the river’s northeast-southwest course almost mile by mile, Rodney Ikola stops along the way to discuss natural and historical features. Below is part of his description of Hay Creek, one of the river’s tributaries. Hay Creek flows into Midway River halfway between Canosia and Marks Roads. The creek has been known by several names. John A. Mattinen in his book, History of the Thomson Farming Area, refers to it in Finnish as Heinäpuro; Hay Creek is a direct English translation. Older Finns usually called it Majavanoja, which translates as Beaver ditch or Beaver creek. Hay Creek apparently derived its name from the large amount of hay cut along it during the township’s early years. An area surrounding the mouth of Hay Creek provided hay for many of the settlers. Farther upstream, where the creek crosses Stark Road, extensive meadows also produced large supplies of hay. At one time, 14 hay sheds dotted the creek banks in this area. The creek enters the Midway at a place called “Deep Hole." This was a favorite fishing spot, together with another hole where the Brooks-Scanlon Railroad crossed the creek. Deep Hole was also used for swimming but was not easily accessible so it never became as popular as other swimming holes along the river. WHY IS THAT ROAD CALLED…? This road was originally a long driveway leading east from Church Road, terminating at property owned by Erick Raatikka, an immigrant from Oulu, Finland. In 1884 Raatikka sold the property to Tuomas Holm (Holmi) and returned to Finland. Tuomas Holm was born in Vähäkyrö, Finland and immigrated to Thomson village in 1881. In 1888 he moved to his property on the road with his wife, Elizabeth Poutu. Tuomas and Elizabeth’s son, Jack, was born on the farm and took over operation of the farm after his father’s death. Jack married Annie Kivimaki who had come to the Cloquet-Esko area from Turtola, Finland. Early documents refer to this road as the Gustafson Road. The Charles Gustafson family, emigrants from Finland, purchased property along this road and established a dairy farm with especially impressive stone barns. Gustafson died a tragic death when he fell from atop a hay load onto a concrete highway. Victor Maki was born in Kauhajoki, Finland, and moved to the U.S. where he met his wife, Fanni Kortesniemi, from Pello, Finland. They lived in Middle River, Minnesota, prior to purchasing the former Gustafson farm and becoming the namesake for the road. Expanding the farm, they established the Clover Hill Dairy, which supplied milk to numerous customers in Scanlon and Cloquet. An announcement in the December 26, 1919, Cloquet Pine Knot proclaimed that “Fritz Esko, one of the sons of Alex Esko, of the Town of Thomson, has opened a general store at the junction of the Scanlon Road with the Duluth-Twin City highway. He expects to carry a complete line of merchandise and will deal in country produce.” With this brief announcement, the stage was set for a chain of events that eventually led to the naming of the community. The location of this store, built by Fritz’s father, was important. The Scanlon Road, later to become part of U.S. Highway 61, ran east from Scanlon about three miles to the Duluth-Twin City Highway. The latter came north from Thomson and then, at its junction with the Scanlon Road, curved east toward Duluth. The junction of the two routes soon began to develop into a busy crossroads, with one business after another setting up shop at the junction, especially along the east-west road. Danish-born lumberman Andreas M. Miller completed construction of a large sawmill alongside the Midway River near Thomson in 1871, a year after the opening of the Lake Superior & Mississippi River Railroad. The mill was just upstream of where the Midway flows into the St. Louis River at a site now below the waters of the Thomson Reservoir. The following is taken from a chapter on the township’s logging history. [A. M.] Miller’s sawmill was described as “modern in every way and was one of the largest of that period.” It consisted of the sawmill and a large planning mill and had the capability of producing shingles and lath. A dam just downstream backed up the river to form a millpond (also called a hot pond). Logs driven down the river collected in this pond, awaiting movement into the mill. Normally a ramp called a “bull-slide” would lead from the pond into the mill. Two men known as “pond-monkeys” would maneuver logs from the pond onto a continuous chain, called a “bull-chain,” that moved along the bull-slide and took the logs to the saws. Power was provided by burning sawdust and slabs. Exhaust steam from the engine was run into the hot pond to prevent it from freezing in the winter. A high smokestack dispersed smoke and sparks from the burning process, but the threat of hot embers falling on the mill was always present. To prevent a catastrophic fire, barrels filled with water were placed on top of the wide crown of the sawmill roof. If fire broke out, workers scrambled to the roof and tipped the barrels to try to put out the blaze. “The organization’s major activities included selling magazines, soliciting funds for the Red Cross and honoring the basketball boys at a banquet. “Other activities have been the purchasing of a large mirror and helping the cheerleaders by acting as a pep club. “The girls have had their activity period twice a month. During these periods they have played a volley-ball tournament with the Women’s Physical Fitness Class. They have also had a badminton and ping pong tournament. "I remember people buying gas at the pumps out in front of the small store we ran in conjunction with the chicken hatchery. We had to collect the ration stamps for each purchase and match them to the gallons they purchased. The pumps did not have electric power and the gas was pumped up into the glass bowls by a hand pump, and then ran into the tank or gas can by gravity feed. "Secondly I remember my Dad ordering a new Chevrolet from Liupakka Chevrolet sometime around 1942 or 1943. The car was either delivered or was in stock at Liupakka’s, but due to the war, we could not take ownership of it as it may have to be taken back and melted down for steel to support the war. I would go down to the garage and look at the car through the windows and wish it could be ours. Finally we were able to take possession of it because my parents ran a business and needed the car to support the business. It was then retitled as a 1946 Chevrolet." “I decided that all things were possible when I was 17. I played shortstop for the community team in Ely. George Johnson was pitching for Esko. “George threw smoke. He was tall and big-boned. He looked impassive and judgmental, like an executioner. Everybody gulped watching George in the warmups. He might have been have been a potato farmer six days a week. On Sundays he threw wild smoke. If they had radar guns, he would have clocked past 90 miles an hour, but it was hard to tell, because sometimes he hit the catcher’s mitt and sometimes the grandstand. “The first time, I stuck my bat out and hit the ball 350 feet into the glove of the surprised left fielder. The next time I struck out. The bases were loaded and I had a 3-2 count in the sixth. I vowed I would not strike out. I dug in and George threw, and I never saw it. I was lying on the ground and my right arm was ringing and twitching. George’s ball streaked over my left arm and hit the right biceps, and I never saw it. The stitch marks were there for six months afterward. Duane Arntson, an Esko resident since 1946 who played ball in his native Cloquet from the late 1930s to 1960, says George pitched briefly for St. Cloud in the professional Northern League. In one game, he struck out 15 batters—and walked 18. Dairy farming was the life’s work for many residents from the earliest days until the last quarter of the 20th century. After committee members recorded several meetings with long-time farmers, and following extensive research, C. Philip Johnson wrote a colorful chapter that included this tidbit about the rigors of clearing the land. Johnson, a 1966 Esko graduate, is a retired Proctor English and journalism teacher. An enduring testament to the back-breaking work of earlier generations is still visible where the township’s old hayfields and pastures have not yet been replaced by housing developments and returning woodlands. Rock piles, usually 20 to 30 feet in diameter and three to four feet high, dot the remaining open landscape. Their placement was often dictated by a huge unmovable boulder. Before backhoes and modern hydraulics, farmers often dug by hand around and partially under such a boulder, coaxing it deeper into the soil. Rather than struggling against such a barrier, they would simply leave it in place, covering it with smaller rocks. Every spring before planting, farmers hitched an ox or a horse to a “stone boat” and haul it through their fields, picking up rocks pushed up by the winter’s frost and depositing them on piles in the fields or around the perimeters. The stone boat, or kivireki in Finnish, was either a low wooden platform fastened to naturally shaped timbers, somewhat like a toboggan, or a slightly round-bottomed sheet of metal. Family stories have a way of improving as time goes by—this one, you might say, grew astronomically. Lauren Hiukka, a 1940 Esko High School graduate, was on the Duluth Junior College boxing team before becoming a naval aviation cadet during World War II. While in flight training, he continued to box and once squared off against John Glenn, the future U.S. senator who in 1962 became the first American to orbit the earth when he piloted a spacecraft around the globe three times. It was one of many memorable moments for Hiukka, a widely known accordionist who also had a 33-year career with U.S. Steel in Morgan Park and Mountain Iron. Hiukka was the featured performer in a local band when only 12 years old, organized his own band (“Lauren and the Rhythm Rascals”) when he was 15, and was a Marine pilot aboard the same aircraft carrier as baseball legend Ted Williams when World War II ended. Each day on a dairy farm followed a certain rhythm. A normal milking schedule was 6 a.m. and 5 p.m.
Before the introduction of milking machines, all milking was done by hand. As was also customary in Finland, the women, having a gentler touch and smoother hands than the men, did most of the milking. With the advent of the Rural Electric Association (REA) and the introduction of milking machines on larger farms, it became common for electric power to drop slightly during milking time because so many were drawing energy at the same time. Housewives with electric ranges knew that dinner (or supper, as it was known locally) would just take a little longer. Every family member had specific chores during milking time and other farm duties as well. There could be no slackers if the farm was to run smoothly and profitably. Children could play ball, swim in the Midway River or Hay Creek, or engage in other childhood pastimes --- but only if their chores were done. “Bus is coming!” called a youngster. “Oh, I can’t find my gloves! Where’s a pencil? Get me a handkerchief!” from a high school girl as she runs off to meet the school bus. “Have you studied American history? I just have to study now.” A horse bus in the winter would be a fairly good place to study if there were no one else in it but yourself. There being others in the bus, you are tempted to talk of other things besides lessons. “Here we are at the Washington School already and I’ve read only two pages,” remarks one girl who has made an attempt to study. At the Washington School all the students are transferred to another bus which carries them to Lincoln, and such fun as they have on this journey! First there is such a scrambling for desirable seats, that by the time they are all settled, everyone is almost out of breath. Then comes the loud call of the bus driver, “Everybody here?” and off they go. “Now for some studying,” proposes some of the girls, but their attempt is useless, for throughout the bus there is such a bustling of conversation, and down in one corner an exciting game of “If and Then” is going on. Such statements as, “If I had one ear, then I’d be a swell society leader,” provokes the interest of everyone, until the whole bus roars with laughter. Then suddenly amidst the merry laughter, the bus comes to a standstill. The merriment ceases as each one piles out to push the bus out of the snowdrift. This done, they all pile in and the fun begins again and remains undisturbed the rest of the way. And how the time does fly! This yearbook will remind the people of Thomson Township of [our] educational progress since 1919 when children attended school at the Town Hall, the National Lutheran Church and the old rural schools. Miss Louise Swenson, Mrs. A. L. Winterquist, Mr. Thomas Harney and Miss Pearl Kuitu were teaching in the district that year, the last of the old rural school days. Four hundred and twelve grade children were enrolled, but no high school pupils. In the fall of 1920, 29 high school pupils were enrolled. Of these, one, Hilda Esko, was a senior. She was graduated in the spring of 1921, the first graduating class of the Thomson Township Public Schools. Since then 259 boys and girls have been graduated. Some older graduates remember the slow-moving horse-drawn buses. They recall how they left home before seven in the morning and arrived at Lincoln School sometimes as late as ten o’clock, and then left for home about two in the afternoon. There was no extracurricular transportation. There were few automobiles. Boys and girls walked home from basketball games, parties and programs. Some will recall how we went to basketball games at Cromwell, Barnum, and Moose Lake in the old Model T Ford truck. Sometimes we were sick from carbon monoxide gas, and sometimes we were stuck in the snow drifts. Roads were not snowplowed. Now 12 modern motor buses bring pupils to and from school. Motor buses also bring children home from extracurricular activities, programs and parties. Traditional high school courses have been enriched with practical courses in home economics, industrial training, agriculture and the commercial subjects of shorthand, typewriting and bookkeeping. 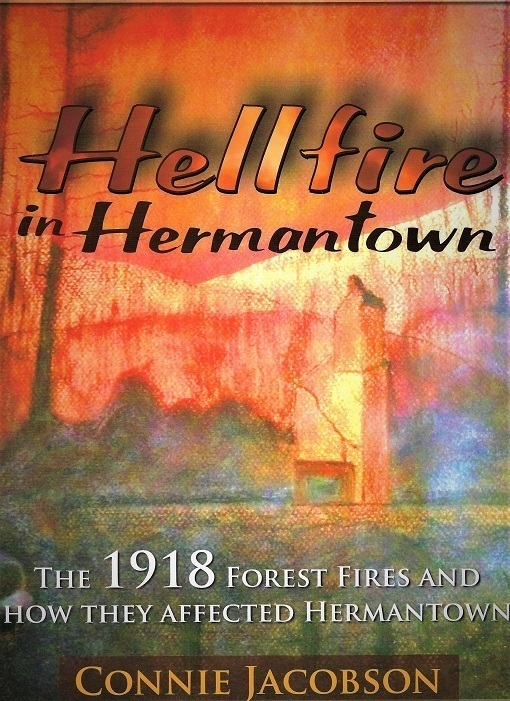 Throughout this time, beginning in 1920, the extra-curricular activities of 4-H, basketball, band, orchestra, dramatics and glee club have been offered, but since the school began providing transportation, they have grown to be much larger factors than when students had to provide their own means of returning home in the evenings. Esko’s Corner, Minn., May 9 ---Approval of an application for the establishment of a postoffice here has been received from Washington. It will be known as “Esko,” instead of the present name. H. J. Mattinen circulated a petition for the establishment of the mail station here and forwarded the same, with nearly 200 signatures, to Postmaster General James A. Farley. A copy of the petition was also sent to Congressman W.A. Pittenger, who assisted in getting the postoffice located here. More than 200 persons will be served by the new mail distribution center, which will be located in the Mattinen building here. Applications for the postmastership will be received until May 14. Mr. Mattinen is the only one who had filed up to the first of this week. Early saunas were simple and, by modern standards, crude buildings. Most were built of logs harvested on site. The logs were hewn flat on two sides and were typically five or six inches thick. On average, early saunas were 12 feet by 12 feet, and were savu saunas, or smoke saunas, named for the thick smoke that filled the building after a fire was started since these saunas had no chimneys. The savu sauna was heated by a fire pit. Walls made out of flat rock, approximately 12 to 18 inches high, surrounded the pit on three sides, and a large flat rock was placed on top of the walls. This simple rock oven was about four feet wide, offering enough room to build a substantial fire. A fire would be lit in the pit and the smoke filled the building, escaping through a small opening near the peak of the roof. A Finnish settler would feed the fire for three or four hours, resulting in red hot rocks which would retain their heat for hours. Old timers still remember how hot a savu sauna could get and how black and sooty the walls were. Excerpted from a first-person recollection by the late Arvid Konu, son of early settlers Matti and Laura Konu, the “mother” and “dad” of this story. "Just 30 days after their marriage, my mother said, 'We need a cow if we are to survive as a family.' So one day in 1900, my dad took a piece of rope and began his walk before daybreak to the Heikkila farm west of Cromwell --- some 35 miles away. That very day he purchased his first cow for the sum of $40. The black and white cow was named Blacky, or in Finnish, Musti. "Mrs. Heikkila served Dad a big breakfast and then packed a hearty lunch for his 35-mile walk back home with the cow. The return trip proved to be much more difficult than the day before, and, in fact, along the way the cow became lame. When they got to the east side of Wild Rice Lake, Dad took the cow into the woods so it could lie down and rest. Although it was a good place to stay, when the sun went down the mosquitoes almost ate him alive. "The next day they arrived home, and Mother was quite happy with Dad’s purchase. That first cow would be the foundation of a herd that came to be known as 'Matt Konu Dairy, Harney Minnesota, Pure, Unpasteurized Milk'." The first portion of Thomson Township surveyed under the jurisdiction of the General Land Office was the east boundary line. This line was surveyed as part of the effort to survey Townships 48 & 49N, R 15W immediately to the east. The contract was awarded to William Burt on May 21, 1856, and the line was surveyed during July of the same year. Burt and his crew were among the first white people, outside of travelers on the Grand Portage, to see what is now Thomson Township. The contract stated he was to receive either $10 or $13 per mile surveyed (the records are not clear on this). Out of this sum, Burt had to pay his assistants and purchase the food. Lest anyone doubt the resiliency of these early surveyors, the next time you travel on the North Cloquet Road observe the swampy quagmire (called Pärren Swampi, or Pärri’s Swamp, among the older Finns) along the Thomson Township/Midway Township boundary and imagine running a survey line through this area in July. In 1943 Esko women were busily preparing produce, fruits, meats, fish and candy to be processed at a new processing plant called, simply, the Cannery. Its director and principal founder, Esko High School agriculture teacher Seth R. Fisher, had seemed somewhat skeptical in the beginning. “There are doubts,” he said, “whether these Finns of Esko and Thomson Township would support such a program, as they are considered to be meat and potatoes people”. But by the end of 1943, the Esko Cannery led the state in production and was the largest operation of its kind in Minnesota. The program's great success made it quickly apparent that more space was needed, so Fisher approached the school board to erect a multi-purpose building on the south side of the high school vocational agriculture and shop departments. At a special election on February 18, 1944, township voters approved $10,000 for the new building. When it was completed—at a cost of $15,000—the project grew even further with 150 families using the facility. The first horses arrived in the township in 1880. A good team was essential for the prosperity of any farm. During the winter, horses were used in the woods for logging or hauling firewood. Spring was the time for plowing, disking and planting. During the summer, before haymaking, the horses were used to haul gravel on township roads. A farmer could work off his real estate tax obligation by spending time hauling gravel. After shoveling a yard and a half of gravel by hand into a wagon, the early settler would pull it down the road to the area being worked on. Many early gravel pits were near the Midway River. A typical gravel deposit was just southeast of the present Harney Road bridge. Since the hill north of the bridge is steep, an additional horse was stationed at the bottom of the hill to assist the team. Once haymaking started, the horses were worked every day. In the fall it was back to fieldwork. 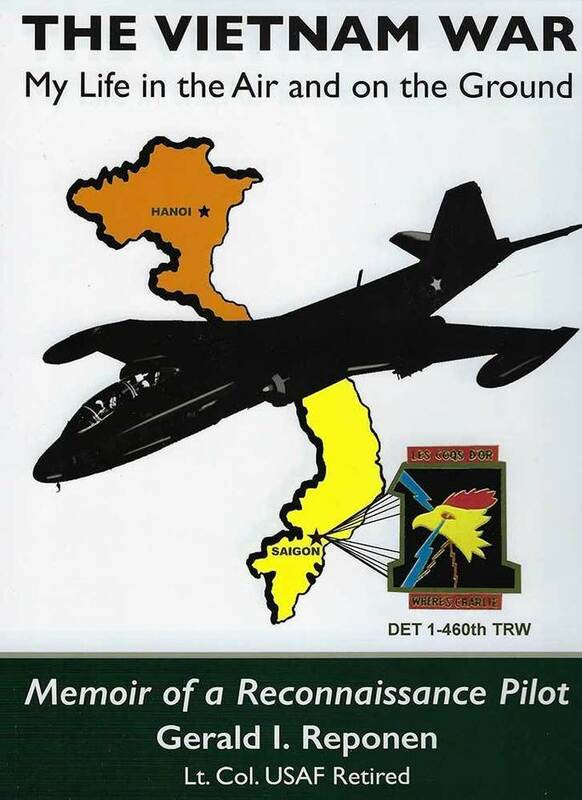 “I was in Cloquet working for my board and room while going to high school. My employers decided to load their car and go to Carlton. I helped them load it and fed the baby his bottle. Then they told me there wasn’t room for me in the car and I should go to my sisters. As they lived out in the west end [of Cloquet], I had a long walk to 15 th street. “I met people on the sidewalk going toward the depot, but I expected to get to Johnsons [her sister’s family] before they left. When I got there everyone was gone. I saw a man I knew who was in his car. I told him about my predicament. He asked if I had any money and I told him I only had a nickel. He said to go back to the depot and get on a train. 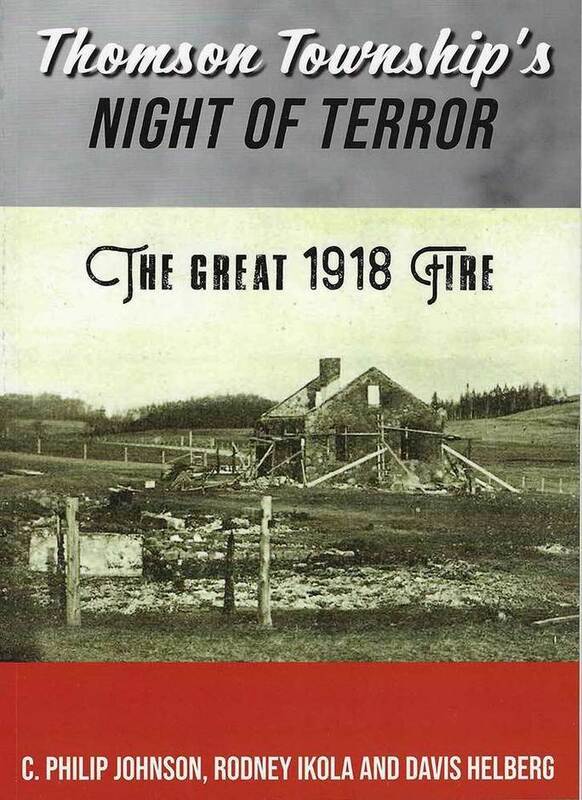 “A woman came out of the Crescent Hotel and together we faced the strong winds and the smoke. When we were up to the fire hall, a police car picked us up. He had us go under a fence to a boxcar, because the depot was on fire. When we got into the boxcar, I heard a man say the Masonic Temple walls had fallen down. We were taken to Carlton and put on a train to Duluth…. "We used to grow a lot of rutabagas, cabbage, potatoes and carrots for home consumption and also for sale in Duluth. The rutabagas and potatoes were stored in the root house built into the hillside. The cabbage, carrots and some potatoes were stored under the house in that cellar. During the winter months the smell of cabbage was quite strong in the house. All of this produce was consumed by the family. Cabbage and rutabagas were cut up and fed to the cows during the confined winter months. Some potatoes were saved to be used as seed for the following year. The rest were sold throughout the winter and spring. The temperature in the dark cellars was just above freezing, so things kept well. At times we worried that produce might freeze, and especially had to watch the carrots and potatoes. If the rutabagas or cabbage froze on the top, they were chopped up for the cattle. "It is hard to remember the size of the fields, but they were large. The garden and root crops took up several acres. These various crops were rotated with oats and hay to enrich the fields. Corn was especially bad about using the nitrogen in the ground. We normally transplanted cabbage around 1 July, probably one or two acres, with plants we acquired in Wrenshall. Potatoes were about one acre, rutabagas from one to three. Near the house was the normal smaller garden extending to the top of the hill as you headed towards Sorila Road. In it were normal vegetables like carrots, peas, beans, squash, lettuce, radishes and some exotic plants like kohlrabi. The cabbages and rutabagas were large --- cabbages often 12 inches and larger in diameter, rutabagas around 10 inches. "We also kept a cold frame next to the barn and had pumpkins, squash, cucumbers, watermelons, muskmelon, etc., in there, along with any plant that required a longer growing season. The cows were bad about the corn and we usually had a couple of good fence-jumpers that got to it."